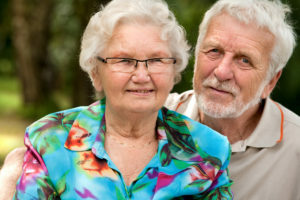 More than 28 million baby boomers will develop Alzheimer’s disease between now and midcentury, and the cost of caring for them will consume nearly 25 percent of Medicare spending in 2040, according to new research reported today at the Alzheimer’s Association International Conference 2015 (AAIC 2015) in Washington, D.C.
As the baby boomers with Alzheimer’s age, there will be a shift toward more severe forms of the disease, leading to greater Medicare costs. In 2020, the projected Medicare costs of caring for baby boomers with Alzheimer’s in the community ($11.86 billion, in 2014 dollars) will be 2.1% of total Medicare spending . By 2040, when the baby boom generation is aged 76-94, the projected Medicare costs ($328.15 billion, in 2014 dollars) increase to 24.2% of total Medicare spending, according to the new analysis. An Alzheimer’s Association report released this year, Changing the Trajectory of Alzheimer’s Disease: How a Treatment by 2025 Saves Lives and Dollars, shows that the economic and health care burden that we face over (the) next two decades could be greatly mitigated if a treatment that delays the onset of Alzheimer’s by five years is introduced by 2025. According to the report, a treatment that delays disease onset could save $220 billion within the first five years of its introduction. It would also cut the number of people who have the disease in 2050 by 42% – from 13.5 million to 7.8 million. At AAIC 2015, Lisa Alecxih and colleagues from the Lewin Group, Falls Church, VA, reported on a model of Alzheimer’s incidence, prevalence and cost that was developed for the Alzheimer’s Association to examine the current and future trajectory and economic impact of the disease. The prevalence of Alzheimer’s among American baby boomers will rise from 1.2% in 2020, when most boomers will be in their 60’s and early 70’s, to an astonishing 50.1% in 2050, when all the boomers will be 85+. This means that by 2040, more than twice as many baby boomers will have Alzheimer’s disease (10.3 million) compared with the equivalent age group in 2015 (4.7 million). When the first baby boomers turn 70 in 2016, Alzheimer’s prevalence in their age group will jump from less than 1% among individuals ages 65-69 to nearly 2.5% among individuals ages 70-74. At the same time, the number of Americans needing Alzheimer’s care and support will increase dramatically, with huge cost implications for decades to come. “The findings of this new data analysis make it clear that the increased demand Alzheimer’s will place on the health and social services systems over the next two decades, coupled with the burden on those with the disease and their families, requires additional investment by the federal government, Alecxih said. The new data reinforces the value of ensuring strong implementation of the National Plan to Address Alzheimer’s Disease to achieve its goal of preventing and effectively treating Alzheimer’s by 2025, Alecxih added.